Ryanair is warning investors to brace for the impact of higher fuel prices and rising staff costs. Europe's largest low-cost airline said that profits could fall by as much as 14% in its financial year through March 2019. That would be the carrier's first drop in annual profits in five years. Ryanair (RYAAY) said its outlook was "on the pessimistic side of cautious." Investors were undeterred by the warning on Monday, bidding Ryanair's shares up by as much as 4% after the carrier reported a 10% increase in profits in the financial year that just ended. Artjom Hatsaturjants, an analyst at Accendo Markets, noted that the company "has a tendency to beat [full-year] guidance," which may explain why investors were relaxed about the profit warning. Profits increased last year even as Ryanair was forced to cancel of a large number of flights due to scheduling mistakes and pilot strikes. The dispute with pilots is still creating financial headwinds for the airline because it was forced to recognize and negotiate with staff unions for the first time in the company's history. It had to offer higher salaries to ensure its pilots and cabin crew didn't leave for competitors. A global shortage of pilots isn't helping. "We expect the market for experienced pilots in Europe to remain tight for the next 12 months, and accordingly, this will continue to put upward pressure on staff costs for all EU airlines," it said in a statement. Despite the negative outlook, Ryanair CEO Michael O'Leary predicts his European competitors will have an even tougher year ahead if oil prices stay at current levels or keep rising. He predicted that some may be forced out of business within the next year, and that would affect how much money Ryanair makes in the future. "A lot depends on what happens with oil," he said in a Bloomberg television interview on Monday. "Some of those loss-making airlines, who couldn't make money when oil was at $40 a barrel, certainly can't survive this winter with oil at $80 a barrel. It's the rate and speed of that shakeout which will determine [Ryanair's] future earnings." In the past 12 months, three smaller European airlines have folded. Italian national carrier Alitalia went into administration in May after it was declared insolvent. Budget carrier Air Berlin filed for bankruptcy in August. 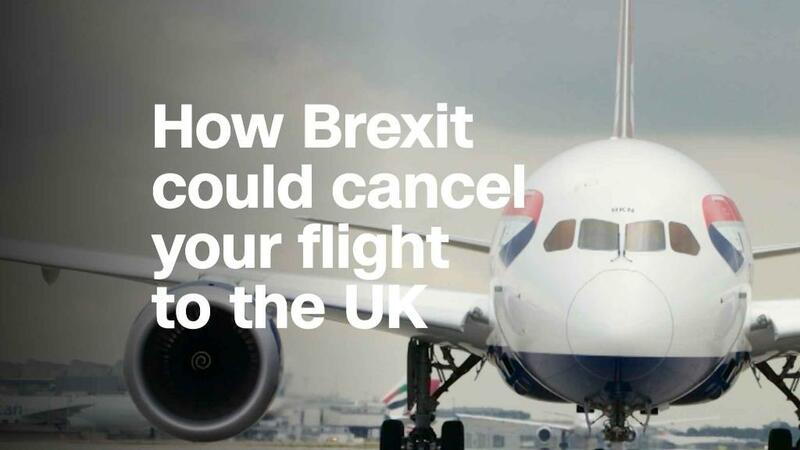 Britain's Monarch halted operations in the autumn, leaving 110,000 customers temporarily stranded overseas. One of Europe's top airlines is also struggling. A damaging pay dispute at Air France-KLM (AFLYY) forced the firm's CEO to resign this month. Strikes have already cost the airline group more than €300 million ($352 million).